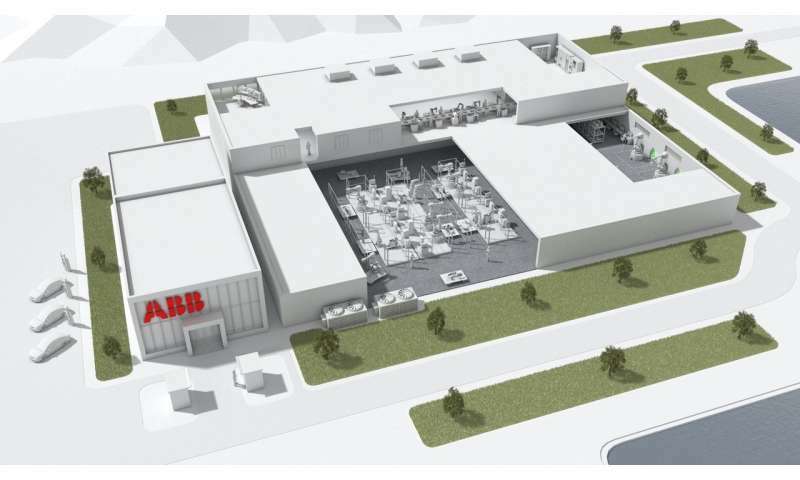 ABB has announced its intent to build a $150 million factory in Shanghai; the Swiss-based engineering group is drawing lots of press not because of the factory's investment dollars but what this factory means as a manufacturing site of the future—across industries, it is likely to become a showcase on many levels. The world will witness, for one, a highly advanced robotics factory where robots will work right there on the assembly lines and the word is out that they will be making different items for the factory world. ABB Robotics produces industrial robots that can be moved to other factories to take on tasks like building cars, assembling electronics or making food, said CNN Business. The Kangqiao center will tap the two research areas of robotics and artificial intelligence—not your Dad's factory of the past. Wattles said "the company's YuMi robot, a two-armed headless device designed to work with people, will be put to use on the factory floor." Carting supplies, meantime, "Autopiloted carts will also follow robots around the factory." Changes in technology will go hand in hand with changes in a traditional factory model. "The company's goal wasn't to build the largest factory, it was to build the most 'flexible' space, according to Per Vegard Nerseth, managing director of ABB's Robotics business, which produces industrial robots and software for companies across the globe," said Wattles. "Rather than fixed assembly lines, the Shanghai factory will make use of a mobile grid that objects will move through as they're built," the report said. According to Business Wire, expect to see a flexible floorplan not laid out according to fixed assembly lines but rather "interlinked islands of automation." "Designed with the aim of becoming the gold standard in the future for robotics factories, ABB envisions the future site housing (1) collaborative robotics, (2) artificial intelligence (AI) research and (3) various digital technologies. The concept underlying the factory is increased collaboration and making the most of every meter of production." Business Wire mentioned the use of "tailored dashboards" for management, engineers, operators and maintenance experts to make the best decisions. Intelligence on the health and performance of ABB robots in the factory would be analyzed "to ensure early identification of potential anomalies." This is a 75,000-square-foot factory and the Kangqiao area plant is being touted as the most advanced factory in the robotics industry. ABB's interest in China is hardly new. CNN Business said that China has been considered a key market for the company since 1992. ABB said it is the #1 robotics manufacturer in China (video) and Ubergizmo said that China is ABB's second largest market after the United States. "In 2017, one of every three robots sold in the world went to China, which purchased nearly 138,000 units. Today, ABB employs approximately 5,000 people in Shanghai," said Business Wire. They will produce robots for China as well as for export elsewhere in Asia, said Reuters. John Miller, meanwhile, reporting for Reuters, said "With the expansion, ABB is banking on Chinese robots sales defying concerns over trade tensions with the United States that some fear could dent demand for electronics, auto parts and other items that require automated manufacturing and robots." Moving forward, Business Wire said that the factory was expected to begin operating by the end of 2020.